Whether your weekend plans involve snow skiing or jet skiing, you’re going to need a quality pair of sunglasses. Regardless of the style that suits you best, your next pair of sun specs should offer clarity, contrast and protection from dangerous ultraviolet light that can damage the eyes. Before spending your hard-earned cash, here are a few tips to help you select a pair of sunglasses that will improve your vision, save your money and increase your enjoyment outdoors. When it comes to having fun in the sun, you’ll have a wide variety of frame and tint choices. Butterfly, cat-eye, rimless, semi-rimless, round and square frames are just a few styles that you’re sure to see when you visit your local eyewear store. Two of the most popular types are aviator, and wraparounds. Gone are the days of “one size fits all” styles. 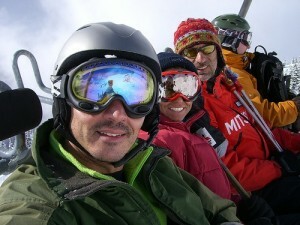 Modern technology has made it possible to create ski glasses in a variety of cute and cool frames. Padded ski sunglasses are lightweight, fit snuggly to your face, and can also protect your eyes from cold temperatures, snow and flying debris. Regardless of the frame you choose, ski glasses must offer excellent UV protection, should be shatterproof, offer good peripheral visibility and glare protection. When you are planning to participate in extreme sports, you may want to invest in frames that are made from flexible materials that can withstand extreme temperatures, cracking and stress. Over The Glasses (OTG) sunglasses are a wonderful option if you wear prescription glasses and want the simplicity add-on shades. Sunglasses with interchangeable lenses are also available if you want something more fashionable, and enjoy a variety of activities in various light conditions. Interchangeable lenses give you the option to switch out lenses with different prescriptions and tints, to accommodate sunny days with lots of glare or low-light conditions that require greater contrast and depth perception. 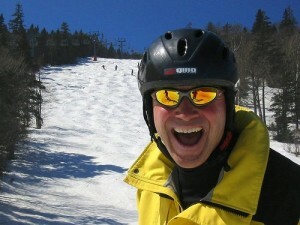 Ski goggles can provide you with the ultimate eye protection when you’re out on the slopes. Some of these come with guards designed to keep your nose warm and protect it from harmful UV rays. Since a few nose guards cause goggles can be uncomfortable, try on several pairs, keeping them on for several minutes to determine their level of comfort. Since some goggles have the tendency to fog up, look for glasses that have double lenses, side vents or an anti-fog coating. 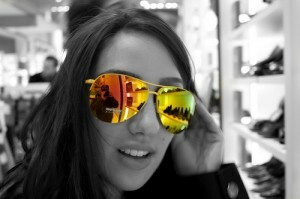 Wraparound sunglasses are quickly gaining in popularity. This frame style offers a lens that wraps around the side of the eyes, offering a clear line of vision directly in front as well as on the periphery. They can also thoroughly protect the eyes from salt water, sand, debris and dirt. While original wraparound glasses had lenses and frames that tightly wrapped around the side of the face and had a “space age” look, more modern styles now have a looser fitting frame. For some people, the cool, simple elegance of aviator-style glasses is great for a day on the beach. They are usually tinted on the interior of the lens, while the exterior has a mirrored coating that provides a feeling of privacy. The interior lens tint as well as the tint of the exterior mirrored coating can usually be customized for the client. Besides offering excellent sun protection, aviator glasses give the wearer a sense of privacy by completely obscuring the eyes. Fashion is important but excellent vision when you’re outdoors needs to be your top priority. 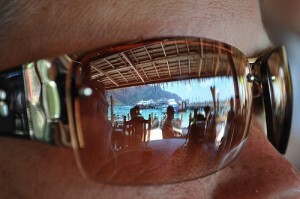 Stay clear of pricey sunglasses found at a hotel gift shops or resort stores. Meet with your eye care professional, try on several pairs and carefully consider how the lenses were produced, which coatings have been applied and which tint is most suitable for your activity. Polarized glasses are a good option for many outdoor sporting activities and can help to reduce uncomfortable glare by blocking out horizontal light rays. Photo credits: Shades with tropics reflection: http://www.flickr.com/photos/kullez/4495047598/; aviator glass: http://www.flickr.com/photos/idovermani/3450069241/; ski goggles: http://www.flickr.com/photos/chorcel/415963130/; ski sunglasses: http://www.flickr.com/photos/dvs/14961111/. Phil Masterson is an eyewear consultant, specializing in contact lenses and he is especially intrigued with the new research for toric contact lenses worn for astigmatism.